Super easy set up that doesn't require any technical skills. Once set, you can have up to five toys connected at the same time! The Easiest & Fastest Set Up Process! Connect any Lovense toy to a Windows PC in two easy steps! 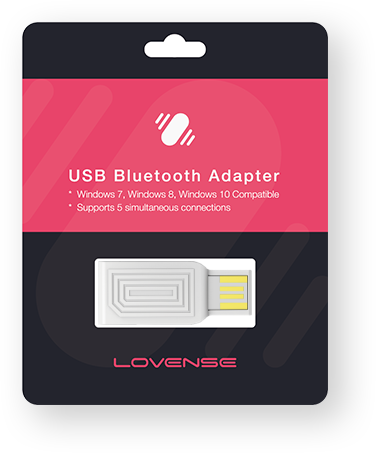 Lovense USB Bluetooth Adapter is customized exclusively to connect Lovense toys to a Windows PC. Note: Lovense toys cannot be connected by other generic Bluetooth dongles.